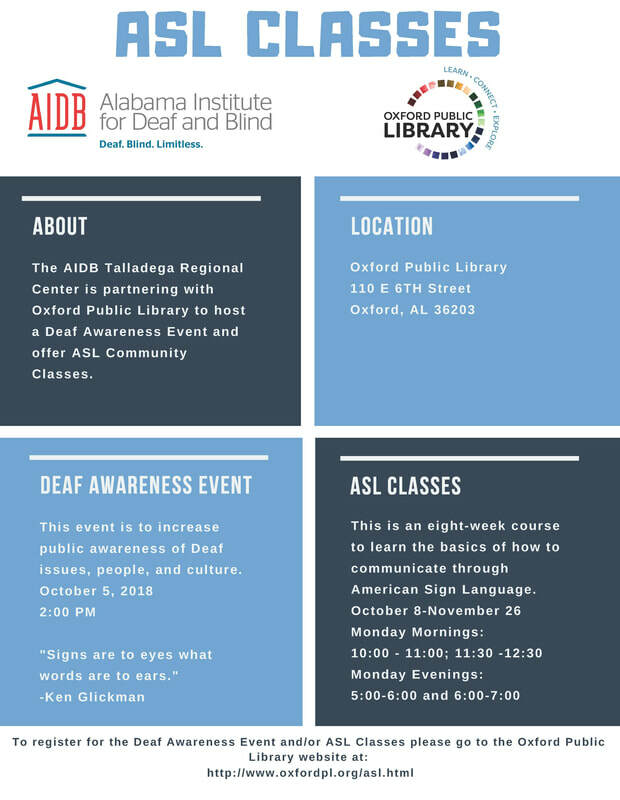 Join us as we learn more about the deaf community through a partnership with Opl and aidb. Businesses and individuals are invited to join us as we learn how to communicate with our deaf community. ​Please use the blue button below to sign up! This is an eight-week course that will allow you to learn how to communicate through American Sign Language. Sign up for the eight-week ASL Class!